Yarra4Life emcompasses 40,000 hectares of picturesque Yarra Valley countryside between Lilydale, Gembrook and Woori Yallock. The Yarra4Life project area contains significant biodiversity values on private land, public reserves and within State and National Parks. The 600 hectare Yellingbo Nature Conservation Reserve is located in the heart of the project area. The Reserve contains 285 native flora and 230 native vertebrate species, areas of sedge rich Eucalyptus Camphora Swamp, the total known wild population of the endangered Helmeted Honeyeater and a lowland population of the endangered Leadbeaters possum. There is a compelling need to create, protect and connect habitat on private land between the reserve and nearby parks. 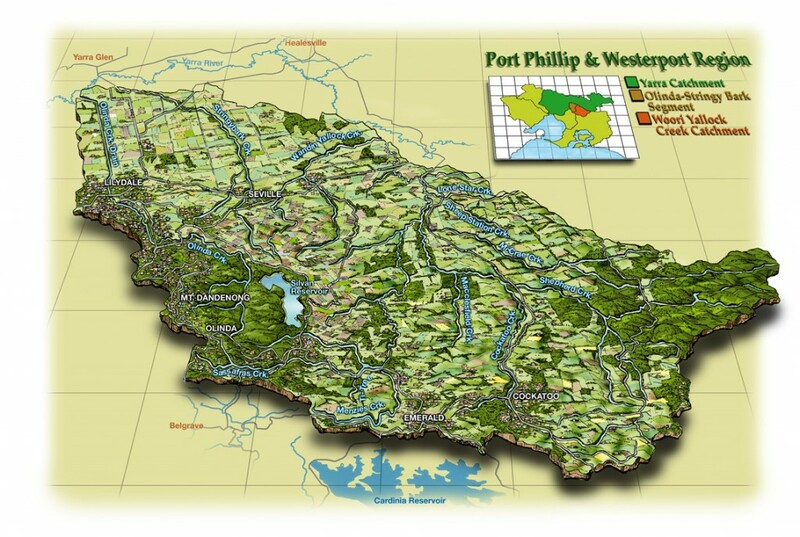 Three habitat corridors will be established to connect the isolated Yellingbo Reserve with Kurth Kiln Park to the south east, the Yarra Ranges National Park to the north and the Dandenong Ranges National Park to the west. These three biolink ‘arms’ will total approximately 25 linear kilometers. The new biolink works will improve the connectivity, resilience and health of the local habitat.